I've been playing with PP in CS5 (in-between house-painting) this week, and it has been quite productive. 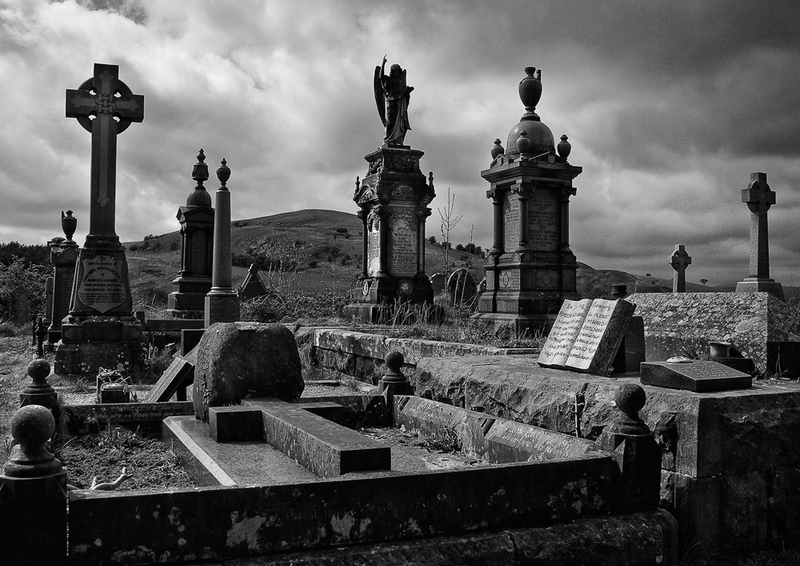 One of the problems with some BW shots is getting enough contrast in the right places to give it that dramatic effect. SEP presets and the freeform controls are great at getting deep contrast, but quite often the areas that are already dark end up too dark after SEP processing. I've found the following method I worked out very useful in getting around that. Basically, I apply two SEP layers to my original, but the second one I do is also taken from the original, not the first SEP layer. I then put the high-contrast layer on top of the neutral layer, and brush through the darker area in those parts that are too dark to reveal a lighter section of the neutral layer below. If you don't have SEP you can still do this just by using different BW layers and adjusting the brightness/contrast of the layers. Here is the shot with my neutral preset applied. I then go back to the base layer and run SEP again, this time applying a much stronger contrast layer. The choice really depends on what looks best for the shot. here is the shot with 'high structure' applied. For some reason this layer looks quite pale and not much different to the neutral layer in this screen shot, but it was actually a lot deep in contrast. You will have to take my word for it. The SEP high contrast needs to be above the neutral layer when you have done them, so you may need to swap the layers around, depending on the order you did them in. Then, add a layer mask to the high contrast layer, and select the brush tool (a soft one), set the opacity to about 30% (just hit the '3' key), and set standard foreground/background to black/white (hit the 'D' key). Then brush any dark areas that are too dark and the lighter version of those dark areas which is below will come through. Do any other touching up, sharpening and you are done. Some final dodging and burning may be needed to correct any bits you missed. And this is my final image. It's probably difficult for you to see, but some of the darker areas of the monuments are now lighter and show more detail than they would have done had I just applied a 'high structure' preset on its own. Last edited by rob marshall; 23rd June 2011 at 07:38 AM. Are you merging the two layers into one prior to changing the blend mode? I don't change the blend mode, Chris. It's all done in the normal blend mode. Although for some shots I may do that as an additional step after the process above. Sometimes I am quite dense...is this method for making a stronger color image, ala Jiroizing, or just to make a stronger end use B&W? If you are doing this to Jiroize (I've made up a new PP word), thus strengthening the intensity of the color, wouldn't you have to go into a luminosity or soft blend mode? Forgive my query as I have driven 1216 miles in two days - in a rental Chevrolet-aaarrrggg...Mini went boo-boo in downtown Atlanta pre-rush hour (if there is such a thing in Atlanta)...ah, but the show must go on. 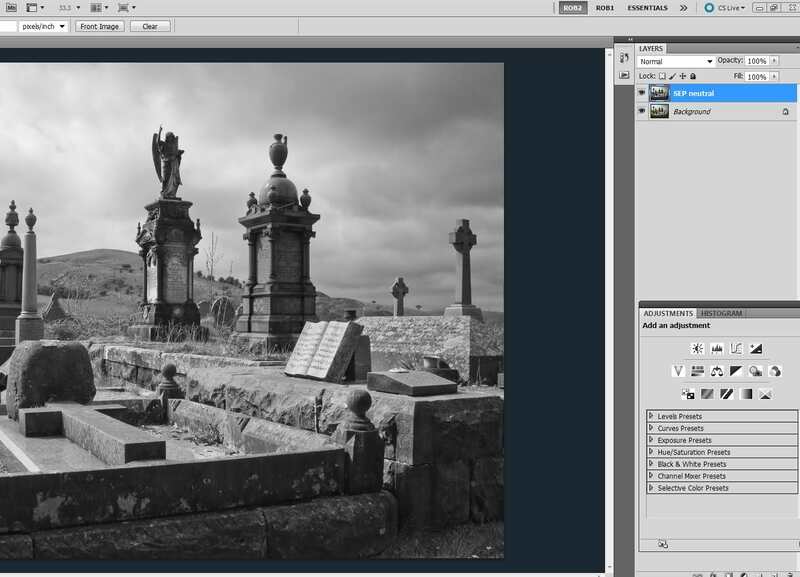 Adding a (higher contrast) BW layer with blending mode set to luminosity to a colour images enhances structure and micro contrast. I use SEP quite often to this BW layer on a colour image. I don't really know what blending mode to use to enhance colour intensity with this method, but adjusting the vibrance slider in ACR or using a saturation layer will do. Rob, Thanks for your reply. I'll give it a closer look after my exams. is this method for making a stronger color image, ala Jiroizing, or just to make a stronger end use B&W? If you are doing this to Jiroize (I've made up a new PP word), thus strengthening the intensity of the color, wouldn't you have to go into a luminosity or soft blend mode? It's to make a BW image, not colour. 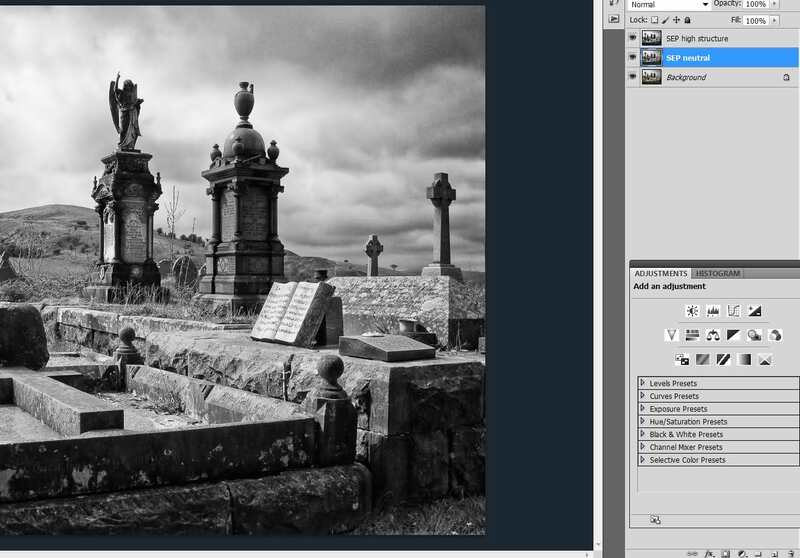 You have three layers while you are doing it - the original colour layer at the bottom, then a BW SEP layer set to 'neutral' preset (or one of your own design) above that, and finally an SEP BW layer with a strong contrast on the very top. Then use a layer mask in that final top layer and brush out some of the dark areas that are too dark - it will drop through to the 'neutral' BW layer below which should have more exposure on the dark bits you have brushed. I suppose you could also do it for highlights, but I find with SEP that it's the blacks that are more often a problem as you lose detail. Instead of using a brush you can use a well-feathered round marquee tool if you have a larger area to change. I may be wrong but I do, copy layer from original colour.. in window ctrl + Shift + U and you will get B&W, duplicate this B&W layer change Mode to SOFT LIGHT anf change opacity to 40 %, merge all the layer. Here is another approach using Viveza to generate the first layer. The control points in Viveza work better than the control points in SEP because you have not discarded the color infromation. Use Viveza to lighten, darken change contrast and change structure etc. In SEP you can globally effect color snensitvity. In Viveza you do it locally with control points. After creating a modified layer with Viveza apply SEP to that layer. Have fun. All times are GMT. Page last updated at 10:26 AM.